I sent these back as they didn't fit well. Came up quite narrow and I didn't like the lace tightening system. My feet didn't feel secure on the heel. 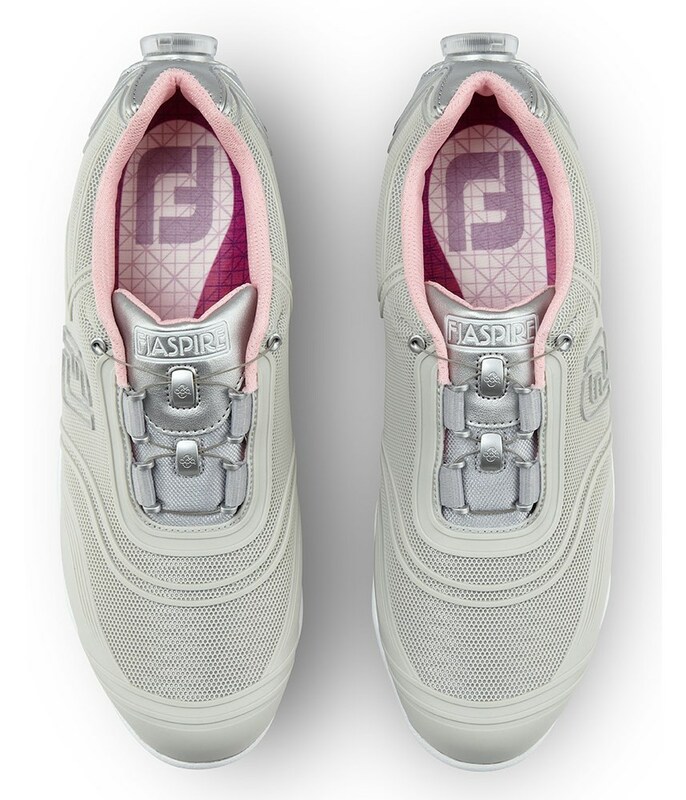 Might suit someone with narrower feet. 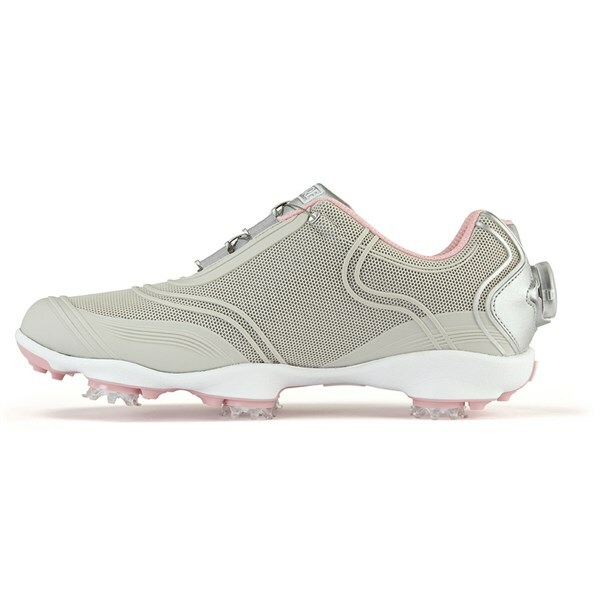 The FootJoy Ladies Aspire golf shoes feature an innovative upper designed to create extreme comfort as well as the necessary support and motion control. By using the NextGen perfed Flexgrid upper FootJoy have created a super stylish upper that will provides instant and long-lasting comfort as well as a stylish finish that delivers enhanced walking comfort and support. 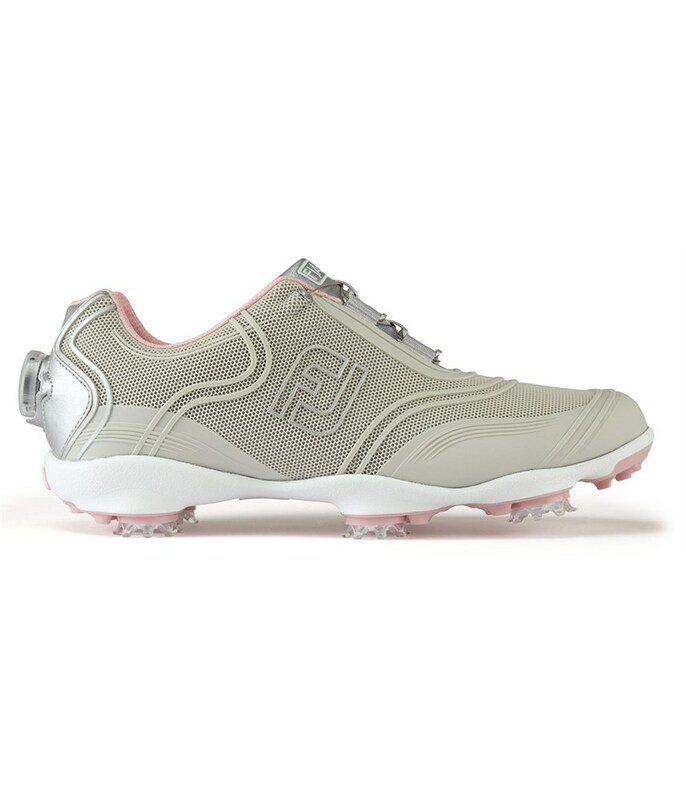 To further enhance walking comfort and increase swing stability FootJoy have used a high performance outsole that features a low-profile design that keeps you closer to the ground. 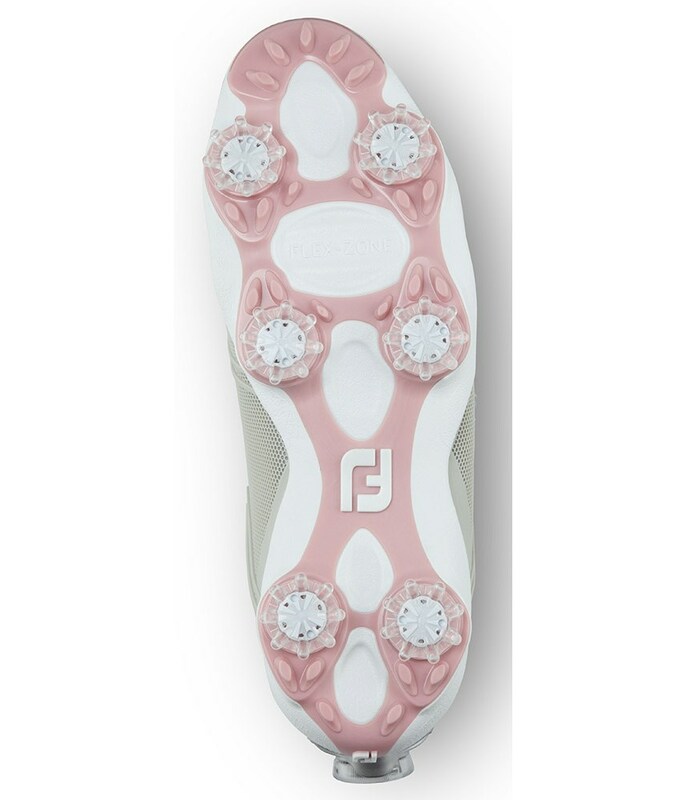 The low-profile 6 cleat design provides excellent traction on all types of surfaces. FootJoy have used their Boa lacing system to provide a comfort fit with increased foot support. 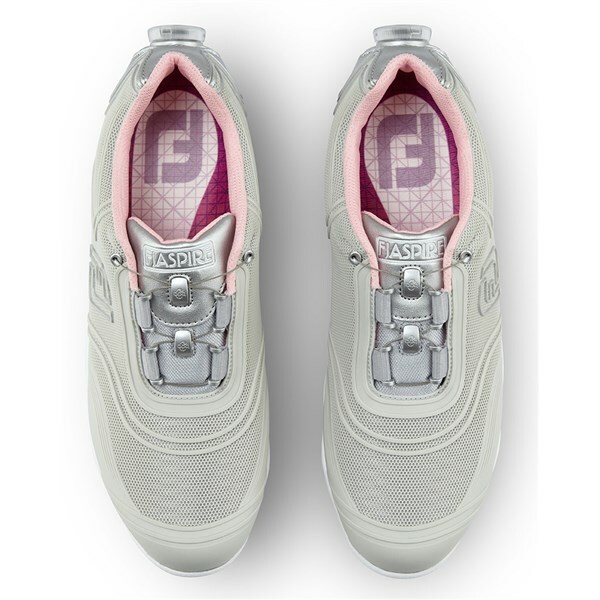 Simply push the Boa disc in and twist and the lace system will grab the foot and you will feel the upper grip your foot for incredible stability.